11 characteristics of a successful real estate Broker. Most home sellers have very little experience with real estate Brokers. For that reason they may not know a good real estate Broker from a less than perfect Broker, at least not until it is too late. An excellent real estate Broker is like a conductor, guiding a group of resources towards a final goal: the sale of the house. 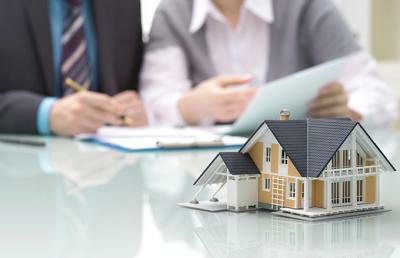 Here are the top the characteristics of the real estate Broker who do the best job. Local knowledge It is incredibly important for the person selling a home to have recent sales experience and success at selling homes in the area. Someone new in town or who has never sold a home in a particular part of town is, in many ways, a beginner. Sellers have a right to pick a winner so start things out right by making sure you’re the best man, or woman, for the job. Organized with attention to detail A real estate Broker that is organized and likes to work with attention to detail is the one that is most likely to sell a home. This is especially true in a hard-to-sell market. Great agents know the tiniest changes sellers can make to improve the sale-ability of their home. They return client calls promptly and make every appointment on time. Connections and representation The top agents come to a home with a prospective buyers list. They know other Brokers in the area, too, and are willing to work with others if that sells the home faster. Tenacity Sellers want an Broker that is tenacious. They follow up quickly after every time the home is shown. They appear to work hard and they rarely give up. Aggressive yet polite attitude The best Broker is not afraid to speak up. He or she should be just as promotional about the seller’s home as if it was their own. By being aggressive, the Broker is working hard to put the home in the forefront of the local market. Flair and good grooming Sellers have worked hard to prepare their homes for showing. They want, and need, a Broker that puts their best foot forward. A Broker with flair exudes confidence and makes prospective buyers feel at ease. This way, prospective buyers get the impression that his Broker would not even list a home that was not an excellent buy. Knowledge of technology A Broker that can use technology with ease is going to be more up-to-date on the market in the area. They will also be more likely to be an organized person who has their act together. This is the type of person sellers want helping to sell their homes. Honesty Sellers need a honest Broker, one that will tell them like it is, even if they’re not the easiest to hear. This type of person will lay out exactly what the seller can expect, from sale price to timing and more. In the end, honesty will save sellers lots of worry. Hardworking A Broker should appear to be tireless and should work on the sale of each home as if it was the most important thing in their life. Strong online presence A Broker should have a strong online presence. Having a facebook page and a neatly done website adds to the armour of a successful broker. These are the most common qualities of successful real estate Brokers. Emulate these qualities and you’ll be more successful, no matter how difficult the sales environment is at the moment. Our site www.BrokersADDA.com was specially launched to expand a Broker's networking skills. And no doubt it is now india's largest marketplace for Brokers and investors to connect and do real estate business with 85,500+ registered members !! What real estate market holds for investors in 2018 ?